Flowers and leaves of Sweet Violets (Viola odorata) in a backyard garden. While I enjoy photographing winter scenes I don’t often get up into the mountains in the winter so I tend to shoot a bit less during that time of year. So when the spring flowers begin to emerge I usually wind up in the backyard photographing the first ones I can find. The flowers here are called Sweet Violets, and are aptly named. Even 50 feet away you can still smell the sweet scent coming off the flowers, especially on a warmer, sunny day. 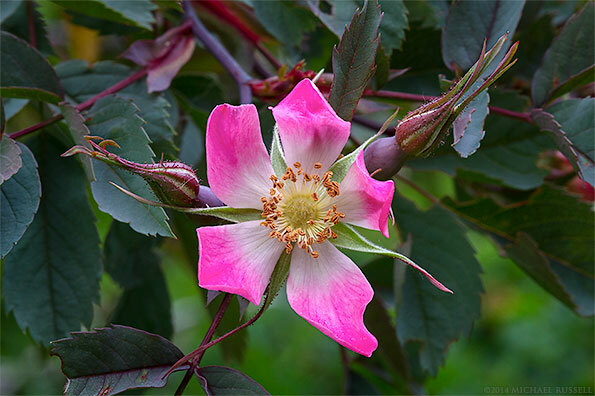 I photographed these flowers and leaves in the last days of winter, but it certainly felt like spring. V. odorata (you can tell where that scientific name came from!) 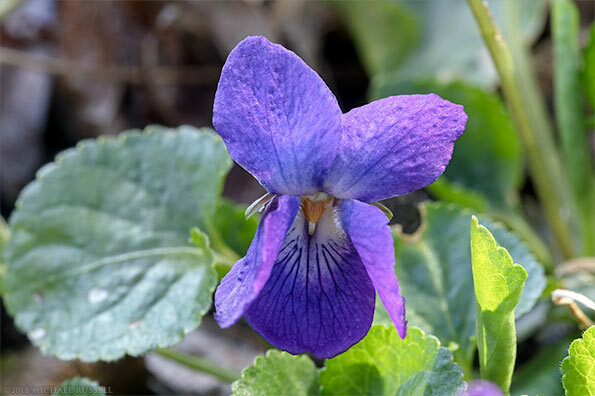 goes by a few other names such as English Violet, Garden Violet, Sweet Violet, and Florist’s Violet. 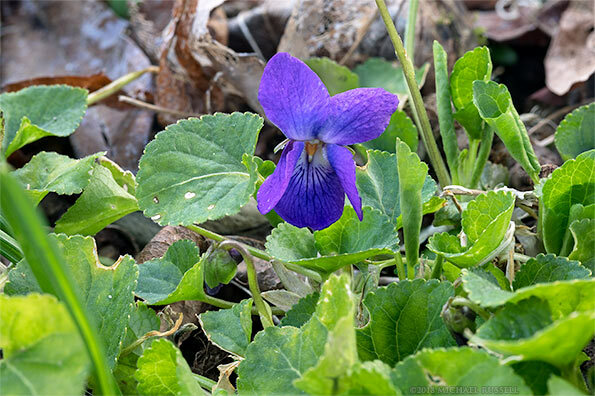 Due to their powerful scent it is not surprising that Sweet Violets have been used in many fragrances and perfumes. 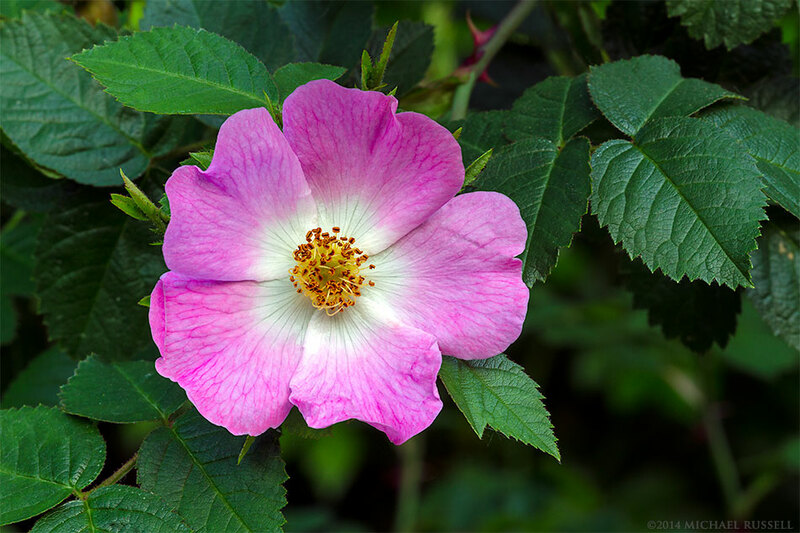 The flowers are also made into Violet Syrup which is then used in such products as scones and marshmallows. The leaves can also be eaten and are also used in perfumes. You can see more garden photographs in my Garden Photos Gallery. The Peace Arch as photographed from Peace Arch State Park in Blaine, Washington State, USA looking towards Peace Arch Provincial Park in Surrey, British Columbia, Canada. 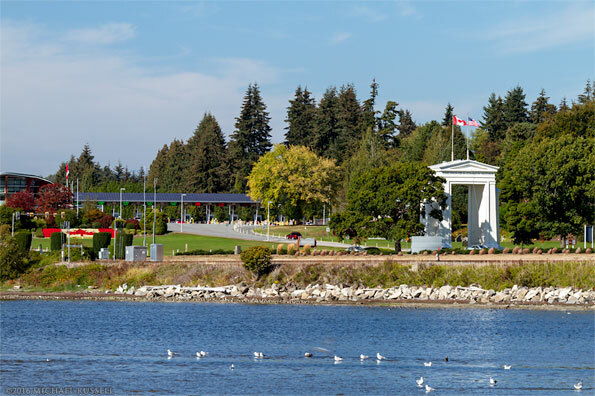 One of the first outings I made with my new camera was to the White Rock Pier but earlier that day I visited Peace Arch Provincial Park and Peace Arch State Park in British Columbia and Washington State. Parking in the provincial park lot, I walked across the road to photograph the Peace Arch monument and gardens. I’d tried this before a few years ago but there was so much of that orange snow fencing everywhere (lawn was under repair) that working around it for good photographs was not something I ended up attempting. 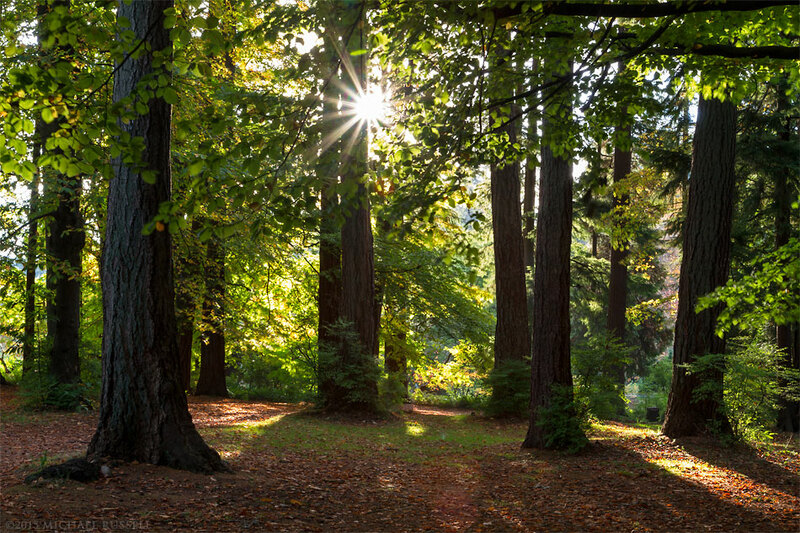 Now there is a perfect lawn and no fencing in sight so it was a great time to revisit this location. 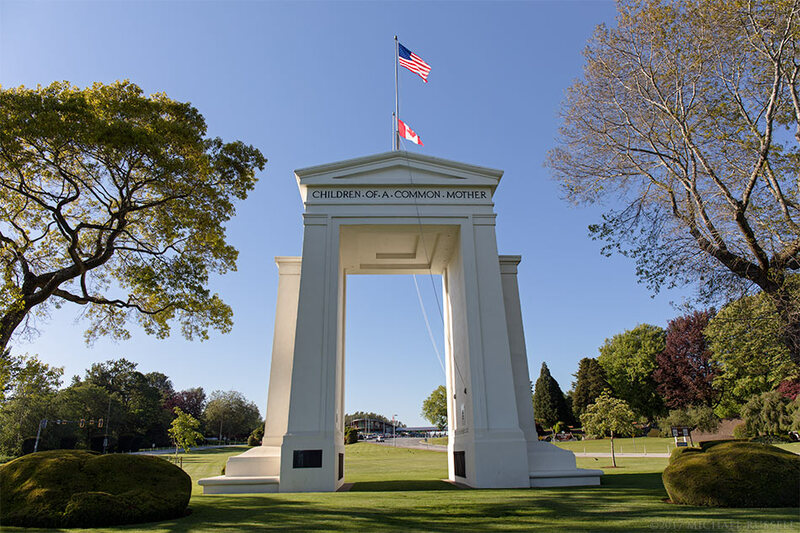 The Peace Arch is a monument completed in 1921 to commemorate the 100 year anniversary of the Treaty of Ghent. This treaty ended the War of 1812 between the United States and Great Britain. The Canadian and American flags fly on top, with the Canadian side (second photo above ) reading “Brethren Dwelling Together In Unity” and the American side (first photo above) reading “Children Of A Common Mother”. When walking through the arch you can read the words “1814 Open One Hundred Years 1914” and “May These Gates Never Be Closed” on the interior sides. The monument straddles the United States and Canadian border which feels a bit strange as you can just walk all around it. I tend to take my passport with me here, but apparently that isn’t really necessary. 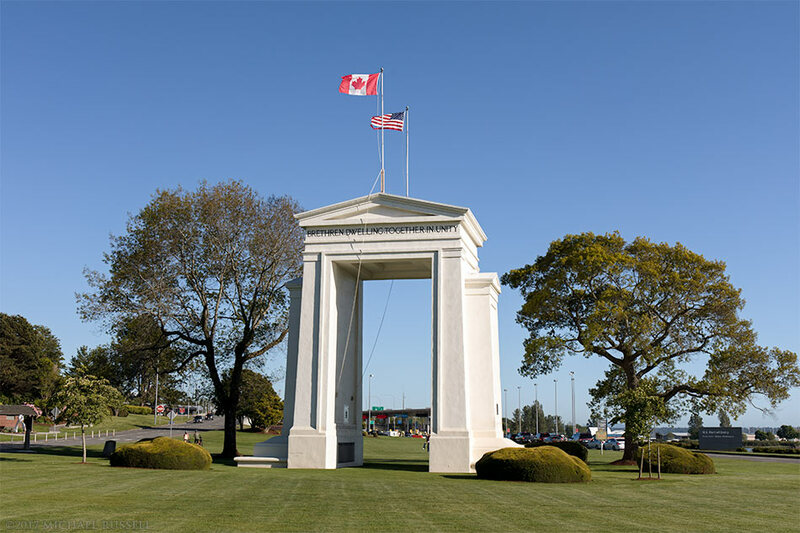 Both Peace Arch Provincial Park and Peace Arch State Park are situated between their respective border checkpoints, so you haven’t really crossed the border in an official sense by entering the parks. 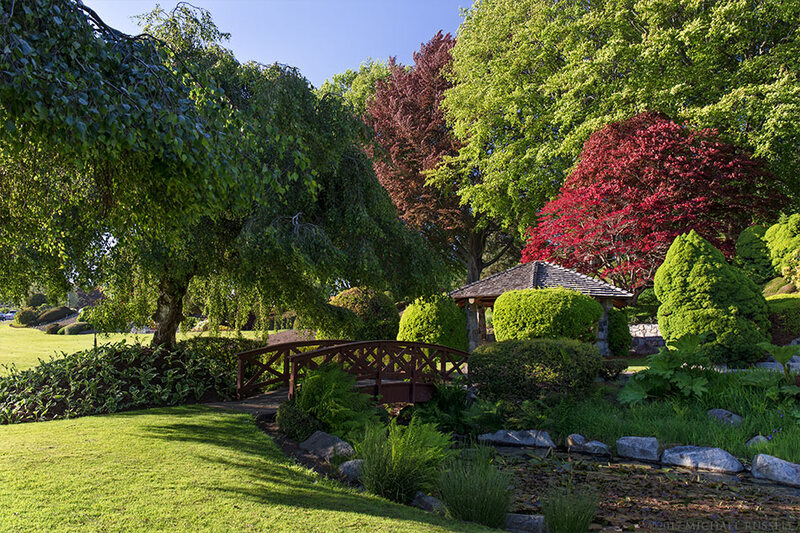 Both parks have some gardens planted for visitors, though I’ve found much of the time some of these are empty of plants for some reason. 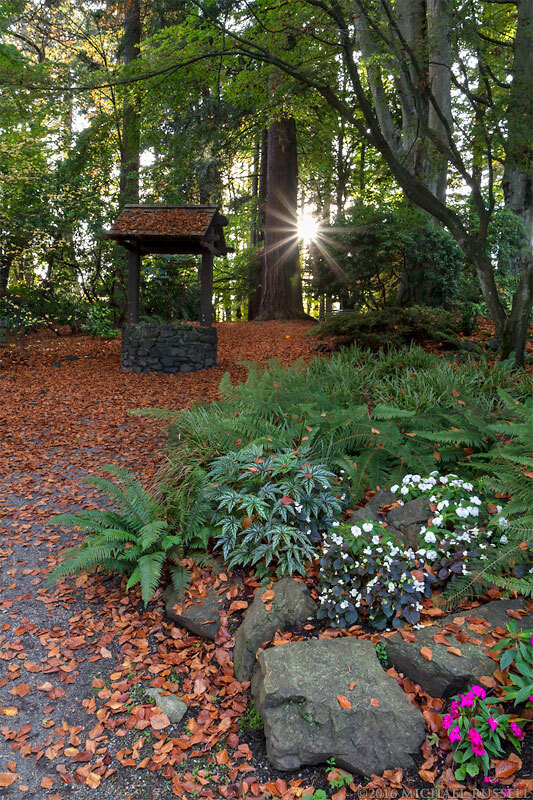 The photograph above shows the pond and gazebo (made from many different species of BC wood) on the Canadian side in Peace Arch Provincial Park. The last photograph here is from last year when I made a trip down the Washington coast towards Anacortes. On the way I stopped at Blaine Marine Park in Blaine to see the view of White Rock and photographed the arch from that perspective. You can see the Canadian border crossing (officially the Douglas Border Crossing) beyond the arch. 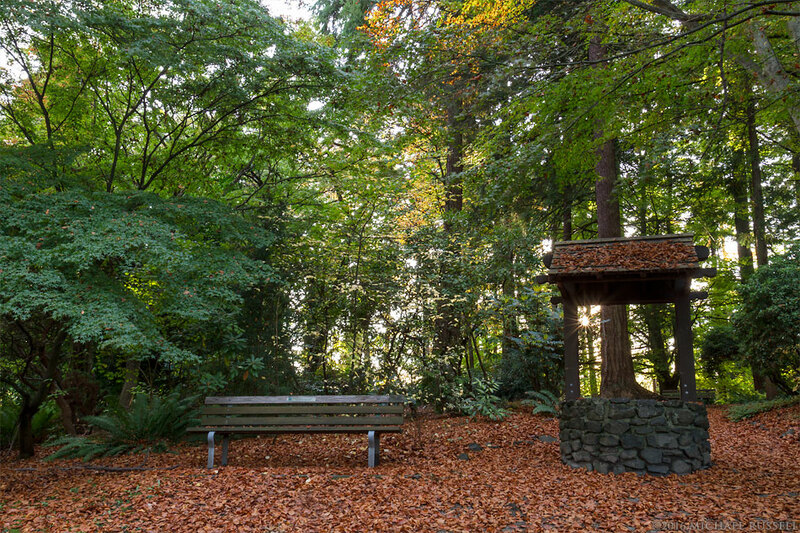 For more photographs of this park visit my Peace Arch Provincial Park Gallery. 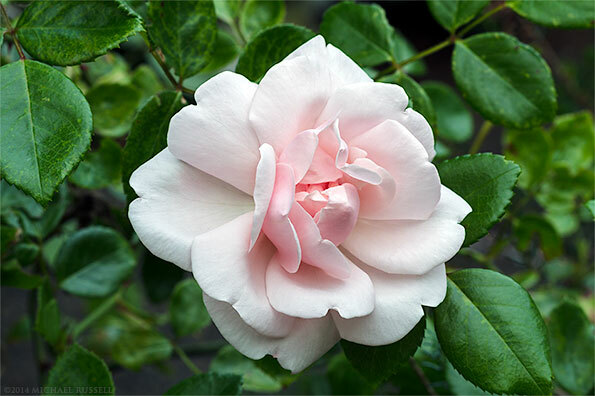 This spring I decided to document as many rose varieties I could find in my parent’s rose gardens. I’ve made a few photographs of them in the past, but I figured documenting them by name and variety (accurately) would be a good idea. 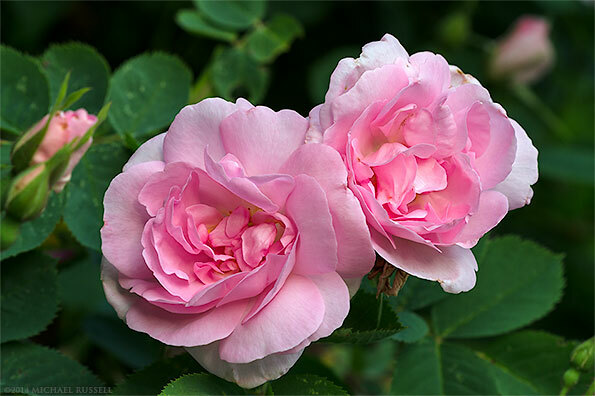 Most of these roses fall into the categories of Rambler, Climbing, Old Garden, Shrub, Species, and David Austin’s English Roses. This is a sampling of those photographs – you can find all that I’ve made so far in my Roses Gallery. These are some Highbush Blueberries (Vaccinium corymbosum) I photographed back in August of 2011. I didn’t get the final editing done until now – but I wish I had processed these when I could actually eat some. 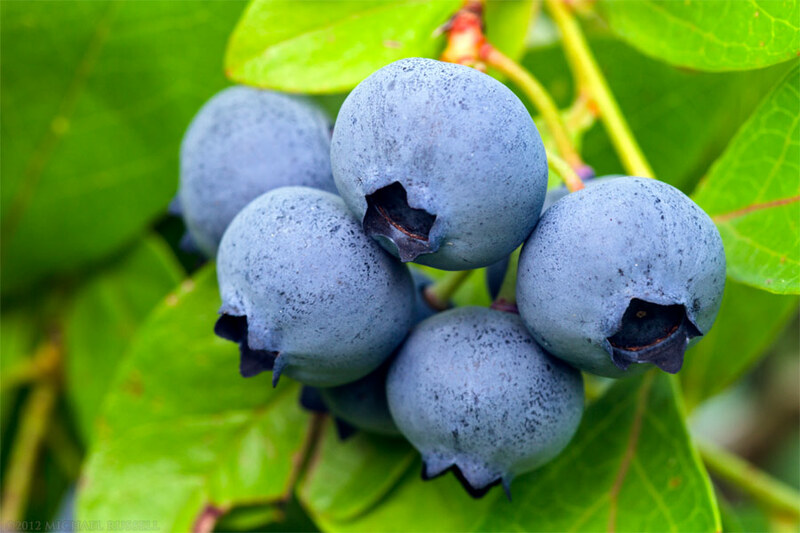 Viewing these gave me a craving for some fresh Blueberries! Unfortunate that I will have to wait until around August before I can have some fresh ones again! A few more photos of these can be found in my image archive. 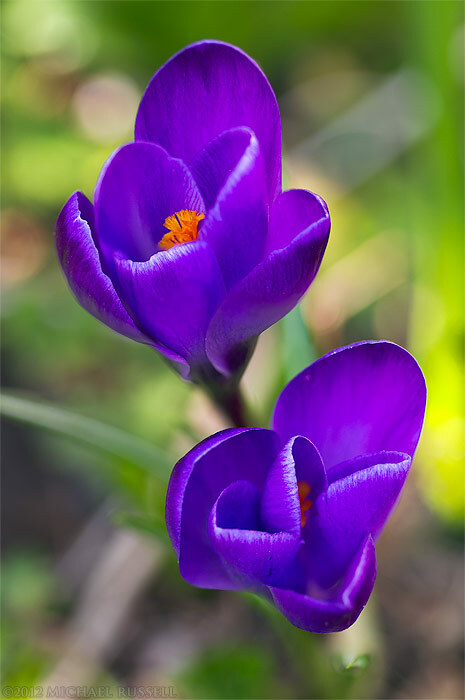 A closeup of two Crocus (Crocus vernus) flowers in the backyard last Spring. This photograph was a bit of an experiment. I wanted to have a shallow depth of field that would blur the background. Since these flowers were at different heights, having them both in focus was not going to occur along with a shallow depth of field. I might have been able to get these both in focus with an aperture of f/16 or higher, but this would not have the background bokeh effect I was looking for. So this is a blend of two exposures shot at f/2.8 each focusing on the top of one of the flowers. The two exposures were then merged in Photoshop. I like the effect this created, and it shows that a “focus stack” doesn’t have to have everything in focus through the composition. 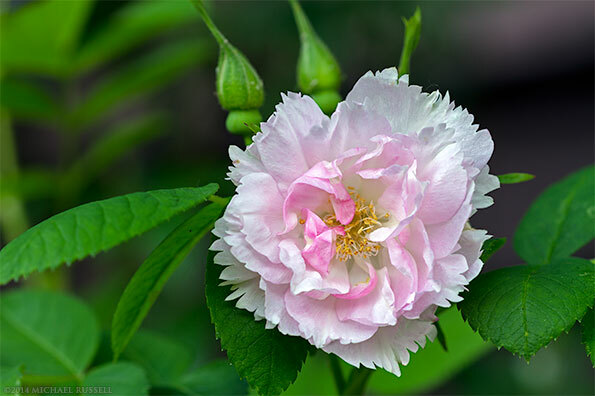 More photos of Spring flowers and gardens can be found in my Garden Photos Gallery.